A judge shall demonstrate professionalism and responsibility to the sport and shall demonstrate respect for all members of Gymnastics Ontario. It is not possible or practical to outline guidelines for each and every situation which may occur. In cases where a specific rule does not exist, the judge(s) is expected to exercise common sense, practice courtesy and show respect in all decisions. Any such situation should be noted in the Competition Chief Judge Competition Report and will be forwarded to the Judging Sub-Committee for a discussion if necessary. To respect the needs of each club, coach, gymnast and other judges. To arrive at the judges meetings on time and in judging uniform. To be knowledgeable and to understand the rules and regulations governing competitions. To be certain that both coaches and gymnasts are present before the warm-up begins. To greet gymnasts on arrival at each event. 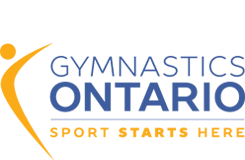 All registered Gymnastics Ontario Judges are required to sign the Gymnastics Ontario Code of Conduct for Judges each competitive season to acknowledge their understanding and adherence to the Gymnastics Ontario Professional and Operational Guidelines for judges.